Marcella TK, SM Gende, DD Roby, and A Allignol. 2017. Disturbance of a rare seabird by ship-based tourism in a Marine Protected Area. PLoS ONE 12(5): e0176176. Collar S, DD Roby, and DE Lyons. 2017. Top-down and bottom-up interactions influence nesting success at the world’s largest colony of Caspian terns (Hydroprogne caspia) in the Columbia River estuary. Estuaries and Coasts https://doi.org/10.1007/s12237-017-0238-x. Courtot K, DD Roby, L Kerr, DE Lyons, and J Adkins. 2016. A low-disturbance capture technique for ground-nesting double-crested cormorants (Phalacrocorax auritus). Waterbirds 39: 193-198. Evans AF, Q Payton, A Turecek, B Cramer, K Collis, DD Roby, PJ Loschl, L Sullivan, J Skalski, M Weiland, and C Dotson. 2016. Avian predation on juvenile salmonids: spatial and temporal analysis based on acoustic and passive integrated transponder tags. Transactions of the American Fisheries Society 145(4):860-877. Chen S, Z Fan, DD Roby, Y Lu, C Chen, Q Huang, L Cheng, and J Zhu. 2015. Human harvest, climate change and their synergistic effects drove the Chinese crested tern to the brink of extinction. Global Ecology and Conservation 4:137-145. Hostetter NJ, AF Evans, BM Cramer, K Collis, DE Lyons, and DD Roby. 2015. Quantifying avian predation on fish populations: integrating predator-specific deposition probabilities in tag recovery studies. Transactions of the American Fisheries Society 144(2):410-422. Orben RA, R Paredes, DD Roby, DB Irons, and SA Shaffer. 2015. Body size affects individual winter foraging strategies of thick‐billed murres in the Bering Sea. Journal of Animal Ecology 84(6):1589-1599. Orben RA, R Paredes, DD Roby, DB Irons, and SA Shaffer. 2015. Wintering North Pacific black-legged kittiwakes balance spatial flexibility and consistency. Movement Ecology 3:36. Paredes R, RA Orben, DD Roby, DB Irons, R Young, H Renner, Y Tremblay, A Will, AMA Harding, and AS Kitaysky. 2015. Foraging ecology during nesting influences body size in a pursuit-diving seabird. Marine Ecology Progress Series 533:261-276. Patterson AGL, AS Kitaysky, DE Lyons, and DD Roby. 2015. Nutritional stress affects corticosterone deposition in feathers of Caspian tern chicks. Journal of Avian Biology 46(1):18-24. Roby DD. 2015. Book review: The double-crested cormorant, plight of a feathered pariah, by L.R. Wires. The Auk: Ornithological Advances 132:315-317. Suzuki Y, DD Roby, DE Lyons, KN Courtot, and K Collis. 2015. Developing nondestructive techniques for managing conflicts between fisheries and double-crested cormorant colonies. Wildlife Society Bulletin 39(4):764-771. Adkins JY, DD Roby, DE Lyons, KN Courtot, K Collis, HR Carter, WD Shuford, and PJ Capitolo. 2014. Recent population size, trends, and limiting factors for the double-crested cormorant in western North America. Journal of Wildlife Management 78(7):1131-1142. Adkins JY, DE Lyons, PL Loschl, DD Roby, and K Collis. 2014. Demographics of piscivorous colonial waterbirds and management implications for ESA-listed salmonids on the Columbia Plateau. Northwest Science 88(4):344-359. Barbaree BA, SK Nelson, BD Dugger, DD Roby, HR Carter, DL Whitworth, and SH Newman. 2014. Nesting ecology of marbled murrelets at a remote mainland fjord in southeast Alaska. The Condor 116(2):173-184. Evans AF, NJ Hostetter, K Collis, DD. Roby, and FJ Loge. 2014. Relationship between juvenile fish condition and survival to adulthood in steelhead. Transactions of the American Fisheries Society 143:899-909. Paredes R, RA Orben, RM Suryan, DB Irons, DD Roby, AMA Harding, RC Young, K Benoit-Bird, C Ladd, H Renner, S Heppell, RA Phillips, and A Kitaysky. 2014. Foraging responses of black-legged kittiwakes to prolonged food-shortages around colonies on the Bering Sea shelf. PLoS ONE 9(3): e92520. Harding A, R Paredes, R Suryan, D Roby, D Irons, R Orben, H Renner, R Young, C Barger, I Dorresteijn, and A Kitaysky. 2013. Does location really matter? An inter-colony comparison of seabirds breeding at varying distances from productive oceanographic features in the Bering Sea. Deep-Sea Research II 94:178–191. Mercer DM, SM Haig, DD Roby. 2013. Phylogeography and population genetic structure of double-crested cormorants (Phalacrocorax auritus). Conservation Genetics 14:823–836. Adrean LJ, DD Roby, DE Lyons, K Collis, and AF Evans. 2012. Potential effects of management on Caspian tern Hydroprogne caspia predation on juvenile salmonids at a colony in San Francisco Bay, California. Transactions of the American Fisheries Society 141(6):1682-1696. Collis K, DD Roby, KW Larson, LJ Adrean, SK Nelson, AF Evans, NJ Hostetter, DS Battaglia, DE Lyons, TK Marcella, and A Patterson. 2012. Trends in Caspian tern nesting and diet in San Francisco Bay: Conservation implications for terns and salmonids. Waterbirds 35(1):25-34. Connon RE, LS D’Abronzo, NJ Hostetter, A Javidmehr, DD Roby, AF Evans, FJ Loge, and I Werner. 2012. Transcription profiling in environmental diagnostics: health assessments in Columbia River Basin steelhead (Oncorhynchus mykiss). Environmental Science Technology 46 (11):6081–6087. Courtot KN, DD Roby, JY Adkins, DE Lyons, DT King, and RS Larsen. 2012. Colony connectivity of Pacific Coast double-crested cormorants based on post-breeding dispersal from the region’s largest colony. Journal of Wildlife Management 76:1462-1471. Evans AF, NJ Hostetter, DD Roby, K Collis, DE Lyons, BP Sandford, and RD Ledgerwood. 2012. Systemwide evaluation of avian predation on juvenile salmonids from the Columbia River based on recoveries of passive integrated transponder tags. Transactions of the American Fisheries Society 141:975-989. Hostetter NJ, AF Evans, DD Roby, and K Collis. 2012. Susceptibility of juvenile steelhead to avian predation: the influence of individual fish characteristics and river conditions. Transactions of the American Fisheries Society 141(6):1586-1599. Paredes R, AMA Harding, DB Irons, DD Roby, RM Suryan, RA Orben, H Renner, R Young, and A Kitaysky. 2012. Proximity to multiple foraging habitats enhances seabirds’ resilience to local food shortages. Marine Ecology Progress Series 471:253-269. Wright S, DD Roby, and RG Anthony. 2012. Factors affecting the behavior of brown pelicans at a post-breeding roost. Western Birds 43:21-36. Evans AF, DD Roby, K Collis, BM Cramer, JA Sheggeby, LJ Adrean, DS Battaglia, and DE Lyons. 2011. Recovery of coded wire tags on a Caspian tern colony in San Francisco Bay: A technique to evaluate impacts of avian predation on juvenile salmonids. North American Journal of Fisheries Management 31:79-87. Hostetter NJ, AF Evans, DD Roby, K Collis, M Hawbecker, BP Sandford, DE Thompson and FJ Loge. 2011. Relationship of external fish condition to pathogen prevalence and out-migration survival in juvenile steelhead. Transactions of the American Fisheries Society 140:1158-117. Lyons DE and DD Roby. 2011. Validating growth and development of a seabird as an indicator of food availability: captive-reared Caspian tern chicks fed ad libitum and restricted diets. Journal of Field Ornithology 82(1):88-100. Maranto CJ, JK Parrish, DP Herman, AE Punt, JD Olden, MT Brett, and DD Roby. 2011. Use of fatty acid analysis to determine dispersal of Caspian terns in the Columbia River Basin, U.S.A. Conservation Biology 25: 736-746. Allen CD, C Birkeland, FS Chapin III, PM Groffman, GR Gunternspergen, AK Knapp, AD McGuire, PJ Mulholland, DPC Peters, DD Roby, and G Sugihara. 2009. Thresholds of climate change in ecosystems. A report by the U.S. Climate Change Science Program and the Subcommittee on Global Change Research. 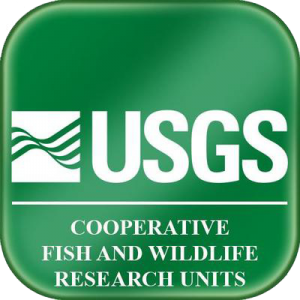 U.S. Geological Survey, Reston VA, USA. 170 pages. Fischer KN, RM Suryan, DD Roby, and GR Balogh. 2009. Post-breeding season distribution of black-footed and Laysan albatrosses satellite-tagged in Alaska: Inter-specific differences in spatial overlap with North Pacific fisheries. Biological Conservation 142: 751-760. Jodice PGR, DD Roby, KR Turco, RM Suryan, DB Irons, JF Piatt, MT Shultz, DG Roseneau, and AB Kettle. 2008. Growth of black-legged kittiwake chicks in relation to delivery rate, size and energy density of meals. Marine Ornithology 36:107-114. Anderson SK, DD Roby, DE Lyons, and K Collis. 2007. Relationship of Caspian tern foraging ecology to nesting success in the Columbia River estuary, Oregon, USA. Estuarine, Coastal and Shelf Science 73:447-456. Lyons DE, DD Roby, and K Collis. 2007. Foraging patterns of Caspian terns and double-crested cormorants in the Columbia River estuary. Northwest Science 81:91-103. Wright SK, DD Roby, and RG Anthony. 2007. Responses of California brown pelicans to disturbances at a large Oregon roost. Waterbirds 30:479-487. Antolos M, DD Roby, DE Lyons, SK Anderson, and K Collis. 2006. Effects of nest density, location, and timing on breeding success of Caspian terns. Waterbirds 29(4): 465-472. Gall AE, DD Roby, DB Irons, and IC Rose. 2006. Differential response in chick survival to diet in least and crested auklets. Marine Ecology Progress Series 308:279-291. Jodice PGR, DD Roby, RM Suryan, DB Irons, KR Turco, ED Brown, JF Thedinga, and GH Visser. 2006. Increased energy expenditure by a seabird in response to higher food abundance. Marine Ecology Progress Series 306:283-293. Jodice PGR, DD Roby, KR Turco, RM Suryan, DB Irons, JF Piatt, MT Shultz, DG Roseneau, AB Kettle, and JA Anthony. 2006. Assessing the nutritional stress hypothesis: the relative influence of diet quantity and quality on seabird productivity. Marine Ecology Progress Series 325:267-279. Romano MD, JF Piatt, and DD Roby. 2006. Testing the junk food hypothesis on marine birds: effects of prey type on growth and development. Waterbirds 29(4):407-414. Schreck CB, TP Stahl, LE Davis, DD Roby, and BJ Clemens. 2006. Mortality of juvenile spring-summer Chinook salmon in the lower Columbia River and estuary, 1992-1998: Evidence for delayed mortality? Transactions of the American Fisheries Society 135:457-475. Sheffield LM, AE Gall, DD Roby, DB Irons, and KM Dugger. 2006. Monitoring planktivorous seabird populations: Validating surface counts of crevice-nesting auklets using mark-resight techniques. Canadian Journal of Zoology 84:846-854. Suryan RM, DB Irons, ED Brown, PGR Jodice, and DD Roby. 2006. Site-specific effects on productivity of an upper trophic-level marine predator: Bottom-up, top-down, and mismatch effects on reproduction in a colonial seabird. Progress in Oceanography 68:303-328. Anderson SK, DD Roby, DE Lyons, and K Collis. 2005. Factors affecting chick provisioning by Caspian terns nesting in the Columbia River estuary. Waterbirds 28:95-105. Antolos M, DD Roby, DE Lyons, K Collis, AF Evans, M Hawbecker, and BA Ryan. 2005. Caspian tern predation on juvenile salmonids in the Mid-Columbia River. Transactions of the American Fisheries Society 134:466-480. Lyons DE, DD Roby, and K Collis. 2005. Foraging ecology of Caspian terns in the Columbia River estuary, USA. Waterbirds 28(3):280-291. Rizzolo DJ, D Esler, DD Roby, and RL Jarvis. 2005. Do wintering harlequin ducks forage nocturnally at high latitudes? Condor 107:173-177. Roby DD, K Collis, and DE Lyons. 2005. Conservation and management for fish-eating birds and endangered salmon. Pp. 161-165 in C. J. Ralph and T. D. Rich (eds.). Bird conservation implementation and integration in the Americas: Proceedings of the Third International Partners in Flight Conference. USDA Forest Service Gen. Tech. Rep. PSW-GTR-191. Anderson CD, DD Roby, and K Collis. 2004. Foraging patterns of male and female double-crested cormorants nesting in the Columbia River estuary. Canadian Journal of Zoology 82:541-554. Anderson CD, DD Roby, and K Collis. 2004. Conservation implications of the large colony of double-crested cormorants on East Sand Island, Columbia River estuary, Oregon, USA. Waterbirds 27:155-160. Antolos M, DD Roby, and K Collis. 2004. Breeding ecology of Caspian terns at colonies on the Columbia Plateau. Northwest Science 78:303-312. Palmer AG, DL Nordmeyer and DD Roby. 2004. Nestling provisioning rates of peregrine falcons in interior Alaska. Journal of Raptor Research 38:9-18. Suryan RM, DP Craig, DD Roby, ND Chelgren, K Collis, WD Shuford, and D.E. Lyons. 2004. Redistribution and growth of the Caspian tern population in the Pacific coast region of North America, 1981-2000. The Condor 106(4), 777-790. Jodice PGR, DD Roby, RM Suryan, DB Irons, AM Kaufman, KR Turco, and GH Visser. 2003. Variation in energy expenditure among black-legged kittiwakes: Effects of activity-specific metabolic rates and activity budgets. Physiological and Biochemical Zoology 76(3), 375-388. Matthews SE, DP Craig, K Collis, and DD Roby. 2003. Double-crested cormorant Phalacrocorax auritus. Pages 56-58 in Birds of Oregon: A General Reference. DB Marshall, MG Hunter, and AL Contreras (eds.). Oregon State University Press, Corvallis, OR. Palmer AG, D Nordmeyer, and DD Roby. 2003. Effects of jet aircraft overflights on parental care of peregrine falcons. Wildlife Society Bulletin 31:499-509. Roby DD, K Collis, and DE Lyons. 2003. Conservation and management for fish-eating birds and endangered salmon. USDA Forest Service General Technical Report PSW-GTR-191. Roby DD, K Collis, DE Lyons, DP Craig, and M Antolos. 2003. Caspian tern Sterna caspia. Pp. In: Birds of Oregon: A General Reference. DB Marshall, MG Hunter, and AL Contreras, Eds. Oregon State University Press, Corvallis. Roby DD, DE Lyons, DP Craig, K Collis, and GH Visser. 2003. Quantifying the effect of predators on endangered species using a bioenergetics approach: Caspian terns and juvenile salmonids in the Columbia River Estuary. Canadian Journal of Zoology 81: 250-263. Collis K, DD Roby, DP Craig, S Adamany, JY Adkins, and DE Lyons. 2002. Colony size and diet composition of piscivorous waterbirds on the lower Columbia River: Implications for losses of juvenile salmonids to avian predation. Transactions of the American Fisheries Society 131:537-550. Collis K, DD Roby, CW Thompson, DE Lyons, and M Tirhi. 2002. Barges as temporary breeding sites for Caspian terns: Assessing potential sites for colony restoration. Wildlife Society Bulletin 30(4):1-10. Golet GH, PE Seiser, AD McGuire, DD Roby, JB Fischer, KJ Kuletz, DB Irons, TA Dean, SG Jewett, and SH Newman. 2002. Long-term direct and indirect effects of the ‘Exxon Valdez’ oil spill on pigeon guillemots in Prince William Sound AK. Marine Ecology Progress Series 241:287-304. Jodice PGR, DD Roby, M Antolos, DE Lyons, DJ Rizzolo, SK Wright,CD Anderson, SK Anderson, SK Nelson, AE Gall, and L Wennerberg. 2003. Book review: Biology of Marine Birds. EA Schreiber and J Burger, Eds. 2002. CRC Press, Boca Raton, FL. Auk 120:240-245. Jodice PGR, DD Roby, SA Hatch, VA Gill, RB Lanctot, and GH Visser. 2002. Does food availability affect energy expenditure rates of nesting seabirds? : A supplemental-feeding experiment with black-legged kittiwakes (Rissa tridactyla). Canadian Journal of Zoology 80:214-222. Litzow MS, JF Piatt, AK Prichard, and DD Roby. 2002. Response of pigeon guillemots to variable abundance of high-lipid and low-lipid prey. Oecologia 132:286-295. Roby DD, K Collis, DE Lyons, DP Craig, JY Adkins, AM Myers, and RM Suryan. 2002. Effects of colony relocation on diet and productivity of Caspian terns. Journal of Wildlife Management 66(3):662-673. Suryan RM, DB Irons, M Kaufman, J Benson, PGR Jodice, DD Roby, and ED Brown. 2002. Short-term fluctuations in forage fish availability and the effect on prey selection and brood-rearing in the black-legged kittiwake Rissa tridactyla. Marine Ecology Progress Series 236:273-287. Collis K, DD Roby, DP Craig, BA Ryan, and RA Ledgerwood. 2001. Colonial waterbird predation on juvenile salmonids tagged with passive interference transponders in the Columbia River estuary: Vulnerability of different salmonid species, stocks and rearing types. Transactions of the American Fisheries Society 130:385-396. Palmer AG, DL Nordmeyer, and DD Roby. 2001. Factors influencing nest attendance and time-activity budgets of peregrine falcons in interior Alaska. Arctic 54:105-114. Anthony JA, DD Roby, and KR Turco. 2000. Lipid content and energy density of forage fishes from the northern Gulf of Alaska. Journal of Experimental Marine Biology and Ecology 248:53-78. Golet GH, KJ Kuletz, DD Roby, and DB Irons. 2000. Adult prey choice affects chick growth and reproductive success of pigeon guillemots. Auk 117:82-91. Jodice PGR, RB Lanctot, VA Gill, DD Roby, and SA Hatch. 2000. Sexing adult black-legged kittiwakes by DNA, behavior, and morphology. Waterbirds 23:405-415. Lance BK, and DD Roby. 2000. Diet and postnatal growth in red-legged and black-legged kittiwakes: an interspecies cross-fostering experiment. Auk 117:1020-1032. Seiser PE, LK Duffy, A McGuire, DD Roby, GH Golet, and MA Litzow. 2000. Comparison of pigeon guillemot, Cepphus columba, blood parameters from oiled and unoiled areas of Alaska eight years after the Exxon Valdez oil spill. Marine Pollution Biology 40:152-164. © 2019 Roby Lab, all rights reserved.